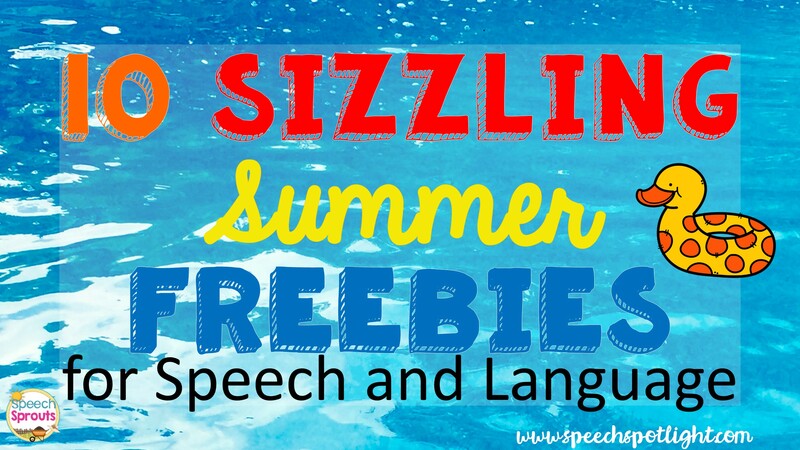 Get Ready for Summer With These Free Speech and Language Activities! Planning summer speech therapy sessions? I’ve rounded up some terrific summertime activities for you. Explore the blue ocean, camp out, catch a few bugs, head to the beach, grab a cold ice cream cone or go on vacation in speech therapy. Awesome! No need to search for engaging summer speech therapy materials. I’ve done the work for you! 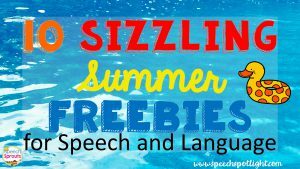 Each of the ten SLPs have a terrific freebie for you and a great summer product to recommend too. So grab a lemonade and enjoy the warm breezes. You are all set! The Freebie: That’s Fishy! Which Does Not Belong? Get out the fishing pole and work on negatives, categories and associations with this colorful game. Then have your children match the fish to the same color fishbowl. Pre-K to 1st grade. Recommended: Summer Picture Story Sequencing Sequence and retell these bright, fun 2, 3, and 4-step picture stories with puzzles, sequencing cards, mats and cut and paste pages. Pre-K to 2nd grade. 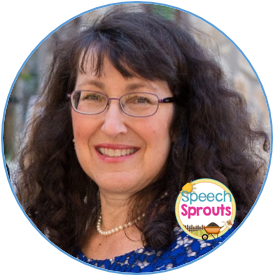 For more great activities from 9 of my favorite SLP bloggers read the full post here at Speech Sprouts. Terrific post ladies! I work the ESY and private practice, you’ve given me some great ideas for the summer!